© EGGLESTON ARTISTIC TRUST/CHEIM & READ A new digital edition of this William Eggleston image, "Untitled c. 1971-1974," sold for $386,500. 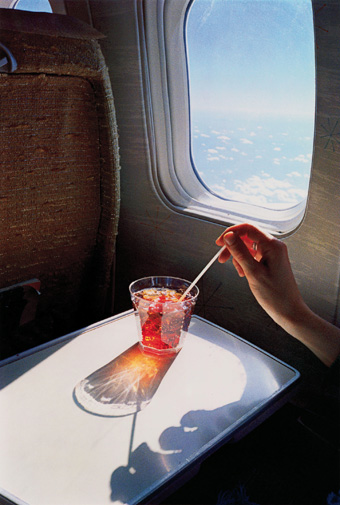 The trouble began after Eggleston created new, limited-edition digital inkjet pigment prints of some of his most iconic images, and sold them at a Christie’s auction in March. That single-owner sale raked in $5.9 million for the benefit of the Eggleston Artistic Trust, a private entity controlled by Eggleston and his two sons. Shortly after the sale, financier Jonathan Sobel, a long-time collector of Eggleston’s vintage dye-transfer prints, sued the artist. Sobel claims that the new prints-which Eggleston made at 44 x 60 inches and issued in editions of two copies each-effectively diluted the market for Eggleston’s work and thereby devalued Sobel’s collection of 16 x 20-inch dye-transfer prints. Sobel also says that by issuing the dye-transfer prints as limited editions in the first place, Eggleston effectively made a legally binding promise not to issue more prints, but broke that promise by issuing the digital prints. 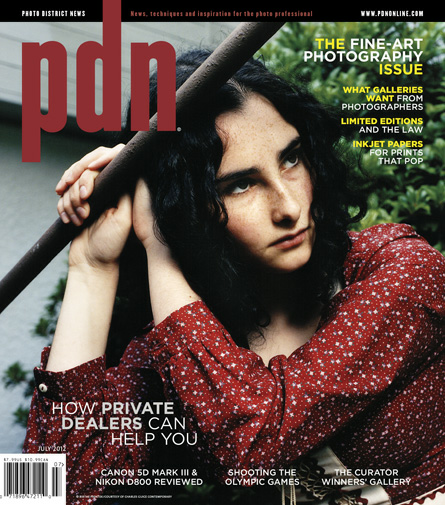 Note this is the PDN Fine Art Issue, with articles on what Gallerists and Private Dealers want from photographers.